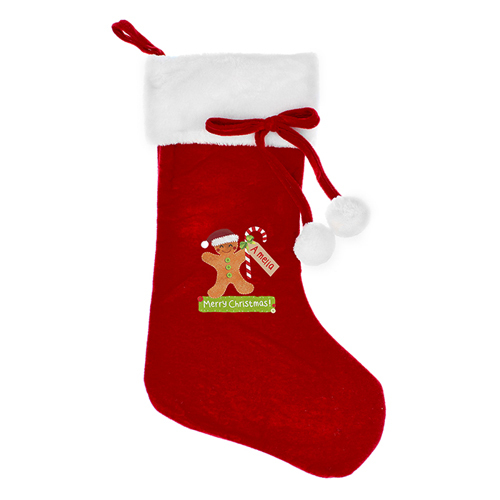 Personalise this Felt Stitch Gingerbread Stocking with any name up to 12 characters. The words 'Merry Christmas' are fixed text. All personalisation is case sensitive and will appear as entered.